We are honoured that the Award will be presented by Minister Josepha Madigan, Minister for Culture, Heritage and the Gaeltacht, at The Irish PEN Annual Dinner on Friday 22nd February 2019 at The Royal St George Yacht Club, Dún Laoghaire, Co. Dublin. Please book your ticket here. Catherine Dunne was born in Dublin in 1954. She studied English and Spanish at Trinity College, Dublin and went on to teach at Greendale Community School in Kilbarrack. Her first novel, In the Beginning, was shortlisted for the Bancarella, the Italian Booksellers’ Prize in 1998. Her second, A Name for Himself, was published that same year and was shortlisted for Novel of the Year at Listowel Writers’ Week. 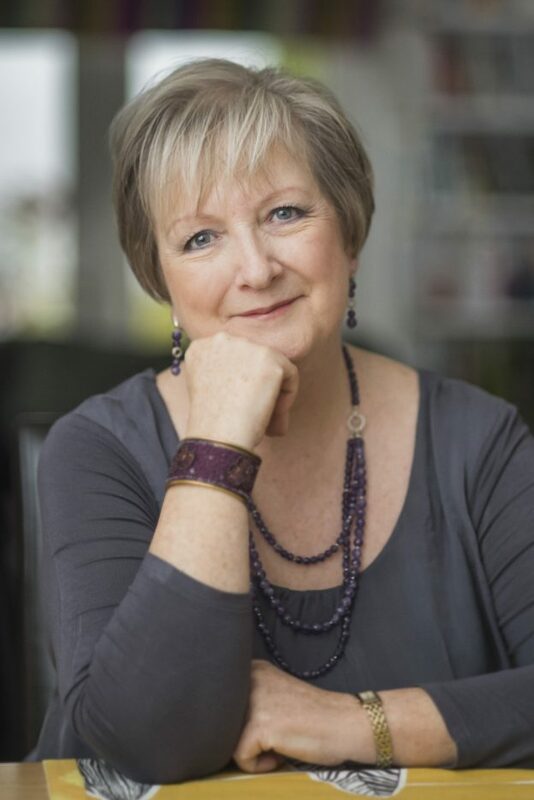 She has also written one work of non-fiction, a social history that explores the lives of Irish immigrants in London in the 1950’s, An Unconsidered People (2003). Between 1998 and 2012, Catherine published six further novels: The Walled Garden, Another Kind of Life, Something Like Love, At a Time Like This, Set in Stone, and Missing Julia. Her work has been translated into several languages. In 2015, she was longlisted for the first Laureate for Irish Fiction Award. In 2013, The Things We Know Now was awarded the Giovanni Boccaccio International Prize for Fiction and was shortlisted for the Eason Novel of the Year at the Irish Book Awards. Her tenth novel, The Years That Followed (2016), was longlisted for the International Dublin Literary Award in 2018. She has recently completed her eleventh novel, The Way the Light Falls. Catherine served as a Board member of the IWC for three years. She was instrumental in setting up literary exchanges between Irish and Italian writers. Irish PEN have recently joined with members of WORD, a group of writers who meet at the Irish Writers Centre, to form Freedom to Write, supporting PEN International’s Freedom to Write Campaign. In 1998 Irish PEN set up an award to honour an Irish-born writer who has made an outstanding contribution to Irish Literature. This Award is for a significant body of work, written and produced over a number of years, and is open to novelists, playwrights, poets, scriptwriters etc. Members of Irish PEN nominate the candidate. In keeping with the tradition started at the W.B. Yeats dinner in 1935, the writer is presented with the Award in the company of other writers at our annual dinner. Prominent members over the years have included Lady Gregory, W.B. Yeats, Lord Longford, Sean O’Faolain, Liam O’Flaherty and Frank O’Connor.